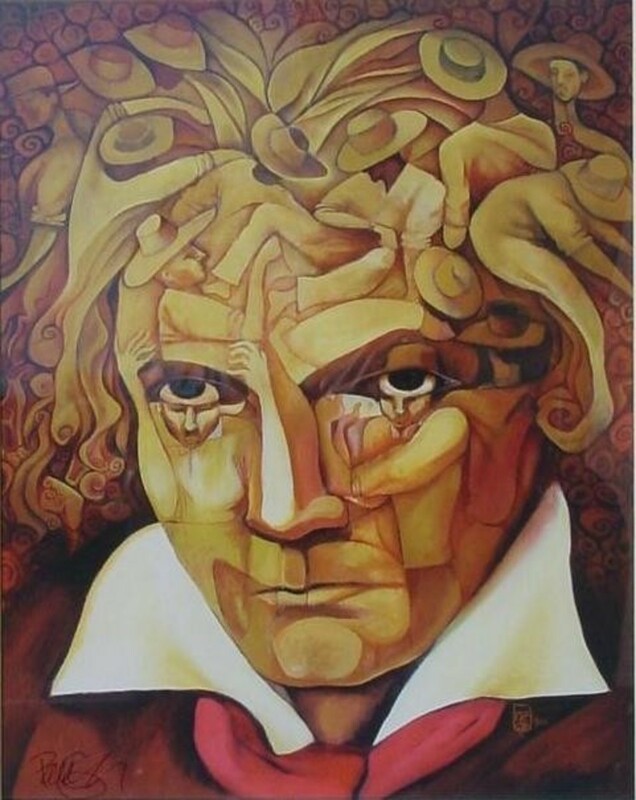 Ludwig van Beethoven is one of the most influential composers of classical music. 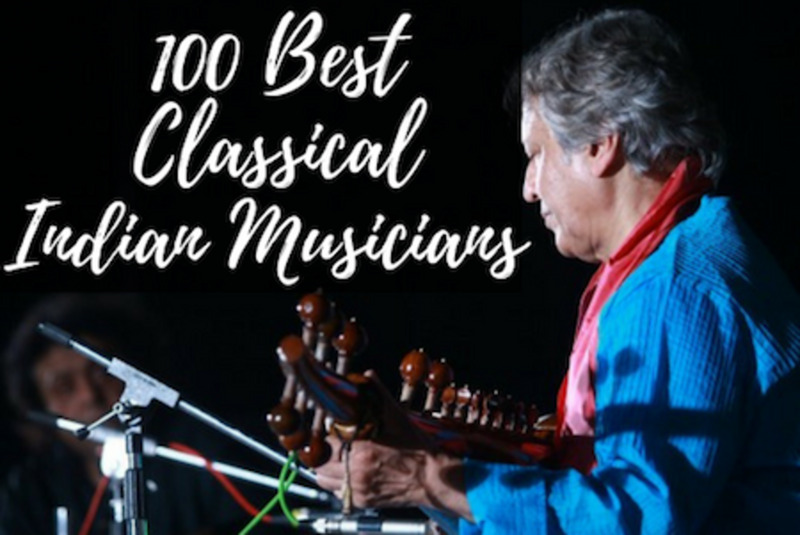 His compositional output is known worldwide, his music is frequently used and referenced in other genres of art, and his music is still played in concert halls today. Beethoven's compositions were the capstone of the Classical period in music, and they were instrumental in developing the Romantic period of music, too. Beethoven's compositional output is frequently categorized into three different periods: Early, Middle, and Late. Each period corresponds chronologically with his life, and each period also features distinct musical qualities that set it apart from his other compositional periods. Beethoven's first period or the Early Period was marked by Beethoven trying to find his place in Viennese musical society. His early period saw him trying to emulate the sounds of his predecessors, Haydn and Mozart, while simultaneously trying to find his own musical voice. The end result, is that we have a period of music that sounds highly influenced by the styles of Viennese culture (Mozart and Haydn) while we can also hear the beginning of ideas that would be staples of Beethoven's Middle and Late periods. 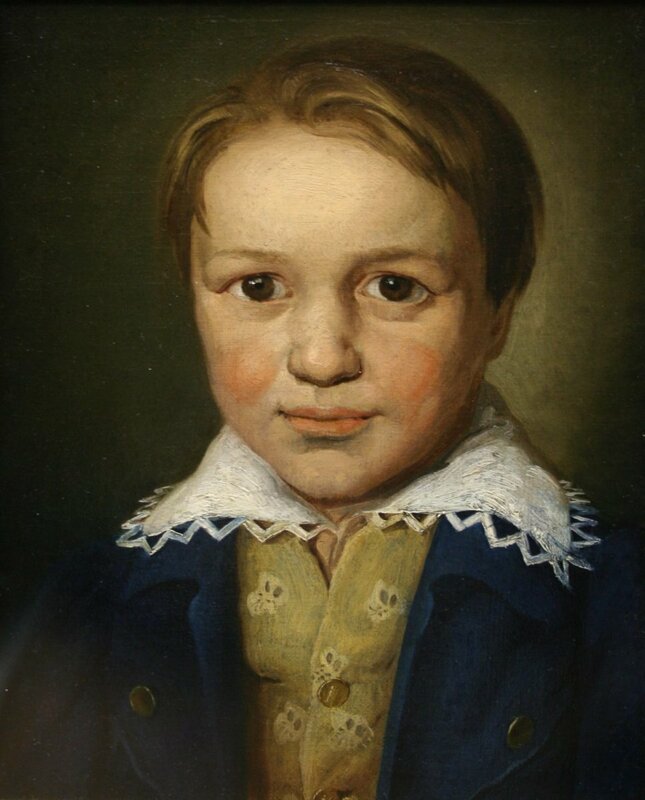 Beethoven grew up in the German town of Bonn. It was here that he began laying down the fundamental skills to be a professional musician. Born into a musical family his father and grandfather began to teach him music at an early age. 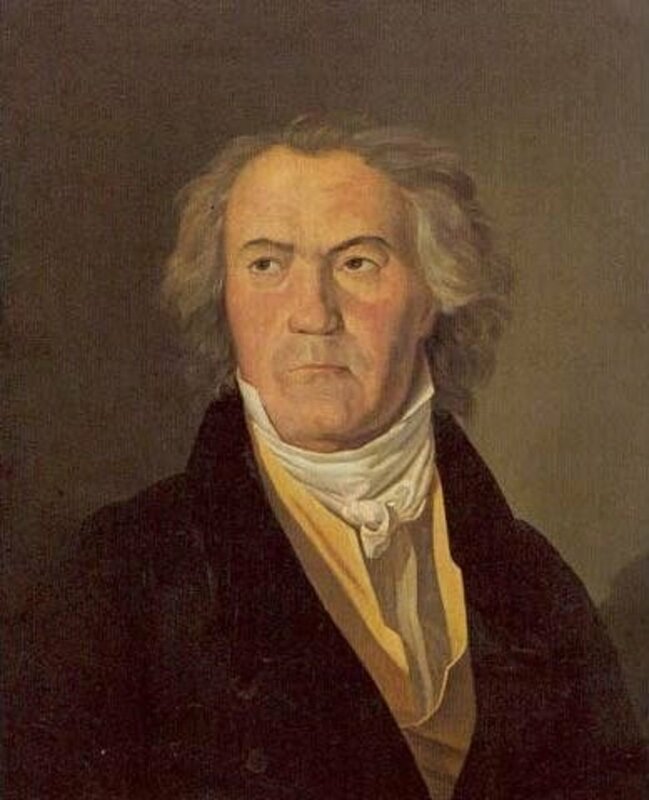 Beethoven's father, Johann, had the aspiration to make Beethoven the next Mozart. However, unlike Mozart's father Johann was physically and emotionally abusive. This had a damaging effect on Beethoven throughout his childhood and through the rest of his adult life. Beethoven's father, along with his musical aspirations were a big part of Beethoven's decision to leave Bonn and head to Vienna. Before he did leave for Vienna he found time to study with Christian Gottlob Nieffe a local composer and the court organist in Bonn. During this time, Beethoven began to compose music (none of which was published) and continued his studies on the keyboard. 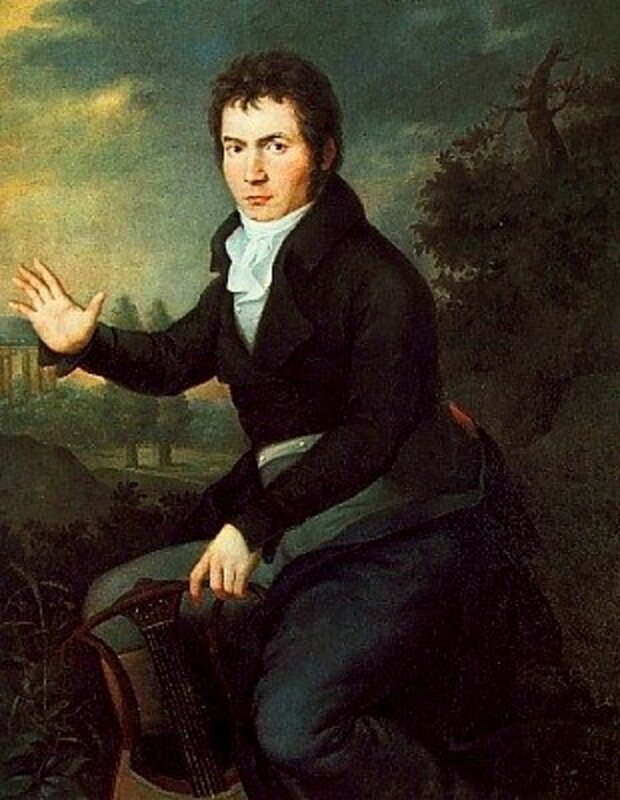 By the time Beethoven left for Vienna in 1787 he had already begun to lay the groundwork for his early compositional period, and had developed a reputation as a great improviser at the keyboard, earning him comparisons to Mozart. It is widely believed that the goal of Beethoven's first trip to Vienna was to seek out Mozart and to study under him. However, Beethoven's first trip to Vienna did not go well, because he was quickly called back to Bonn due to his mother's failing health. 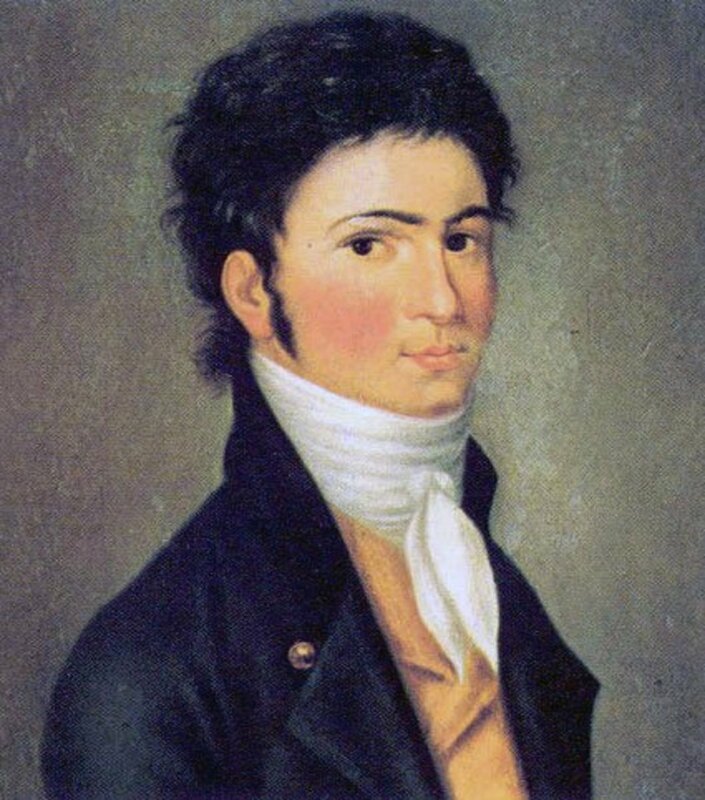 After Beethoven returned his mother died shortly after, he decided to take care of his two younger brothers, since his father was incapable due to his worsening dependency on alcohol. Beethoven, wouldn't return to Vienna until 1792, little less than a year after Mozart had died. Beethoven's second trip to Vienna was a permanent trip, he would live there the rest of his life. While in Vienna, Beethoven studied composition and counterpoint with some of the best composers of his day, this included Albrechtsberger, Salieri, and Haydn. While studying composition he began to earn a living performing for members of Vienna's aristocracy. As Beethoven began to build long lasting relationships with Vienna's elite he prepared to publish his first set of original compositions. Beethoven's first compositions were published in 1795, three years after he came back to Vienna. His first published works were a set of three piano trios. By publishing piano trios Beethoven was able to simultaneously promote his piano performing skills, while also showing he could compose for a newer type of ensemble that was beginning to become more popular. It also allowed him to write for an instrument he was familiar with, the piano, while also beginning to explore both the possibilities of the violin and cello. Beethoven would continue to write for piano trio well into his middle period. The heart of Beethoven's early period in chamber music was the string quartet. The string quartet had a high aesthetic during Beethoven's time due to the tremendously written string quartets of Beethoven's predecessors Mozart and Haydn. It is quite likely Beethoven felt intimidated by these string quartets which is why he waited until 1801 to publish his first set of 6 string quartets. Beethoven's first set of string quartets are still in the standard repertoire today. The first string quartet showcases a lot of the ideas that would be prevalent in Beethoven's middle period. The opening theme of the first movement in String Quartet #1 begins with two two bar motives. These short motives, act like melodic hooks, and were something that would be closely associated with Beethoven's compositional style throughout his life. The motives remind many listeners that this string quartet is an important predecessor to the opening movement of Beethoven's 5th Symphony. The 2nd movement of this same string quartet is widely believed to be based on the tomb scene from Romeo and Juliet. In Beethoven's compositional sketches for this movement, written in French, you can see the following quotes next to certain parts of the music: "He comes to the tomb," "Despair," "He kills himself," "The last sighs." Using instrumental music to depict real world events bears a lot of resemblance to program music, or music that is usually instrumental and has a narrative attached to it. Narrative attached to instrumental music would be one of the trademarks of the Romantic era in music. Another note on the first string quartet is the use of fugato passages in the first and final movements. Although these passages are short, fugues would make a few appearances in other compositions in his early period as well as in his middle period. However, fugues in Beethoven's later period were very ambitious in length, harmonic implications, and in emotional variety and complexion. The way Beethoven used them in his final period are a testament to his genius as a composer. A lot of Beethoven's early music revolved around the piano, which was largely due to his familiarity with the instrument. During this period Beethoven wrote 20 Sonatas, a set of 6 Variations in F Major, and 15 Variations and a Fugue on an Original Theme, all for the piano. Beethoven's 2nd set of published compositions were a set of 3 piano sonatas. Each one of the first piano sonatas shows significant growth in Beethoven's composition skills. The piano sonatas show how Beethoven liked to do composition experiments with piano first. If his compositional ideas worked with piano then he would find ways to incorporate these ideas into other ensembles, namely his string quartets and symphonies. Beethoven wrote a lot of high quality compositions during this time, but what could be considered his first truly timeless composition was his 8th Piano Sonata (Pathetique). Compared to his contemporaries this sonata invokes a much greater emotional range, hence why the nickname Pathetique was given to it by Beethoven's publisher. This is one of Beethoven's earlier compositions that makes use of similar thematic material spanning across multiple movements, which allowed Beethoven to create a more unified sounding composition. This was something he did frequently during his middle and late period compositions. In the 8th Piano Sonata, Beethoven's 2nd theme in the first movement sounds very similar to the theme in the beginning of the 3rd movement, creating a more unified sound. 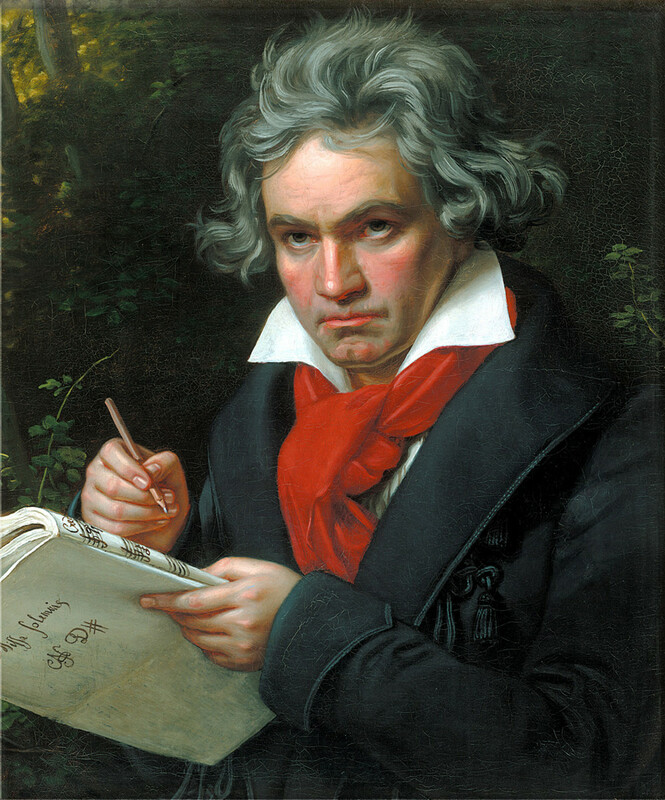 In addition to the compositional unity and emotional depth of this composition Beethoven also began to significantly expand the exposition of the Sonata-Form during the first movement, another quality that was unique to Beethoven's music during this time and was very influential on later composers. Piano Sonata 14 (Moonlight), arguably the most famous of Beethoven's Piano Sonatas, was also written during this time. One of the most striking aspects about this sonata is its emotional arc. The intensity of the energy increases in each of its movements. The first movement moves slowly and has a solemn dreamlike quality to it, from there it proceeds to the second movement which has a moderately paced movement that moves with grace, and it concludes with a furious and angst filled finale. This bears a lot of similarities to the emotional arch of Beethoven's 5th symphony, however instead of concluding in triumph like the 5th Symphony this Piano Sonata has a tragic conclusion. Another significant piano sonata is Beethoven's 15th Piano Sonata (Pastoral), which also influenced later compositions in Beethoven's middle and late period. One of the most significant aspects of this sonata is the era which Beethoven drew the inspiration for the sonata, the Baroque Era. Although Beethoven was specifically inspired by the Baroque Pastoral for this sonata, it's also one of the earliest fully committed compositions Beethoven wrote where he incorporates elements from the past into his music. Beethoven drew from a lot of Baroque music as inspiration for his compositions in his later period, particularly the Fugues that were written by Bach. The 15th Piano Sonata was also a large influence on Beethoven's 6th Symphony (also called the Pastoral). This symphony uses lots of the Pastoral piano effects Beethoven used in this sonata which included the use of lots of harmonic drones on one chord and the use of short repeating motives over longer phrases of music. During his early period Beethoven was just beginning to delve into orchestral music, something he would spend a lot more time writing in his middle period. Beethoven's early period saw the completion of his first three piano concertos, his first two symphonies, his two romances for violin and orchestra, and his only ballet called The Creatures of Prometheus. Beethoven's piano concertos were his earliest orchestral compositions, again chosen due to his familiarity with the piano. The piano occupies a significant amount of space when it is the featured soloist (or contrasting force) in a concerto, making it the perfect place for Beethoven to begin writing for orchestra. Beethoven's piano concertos were highly influenced by the Mozart's piano concertos, where he borrowed a lot of structural ideas from Mozart's later concertos. 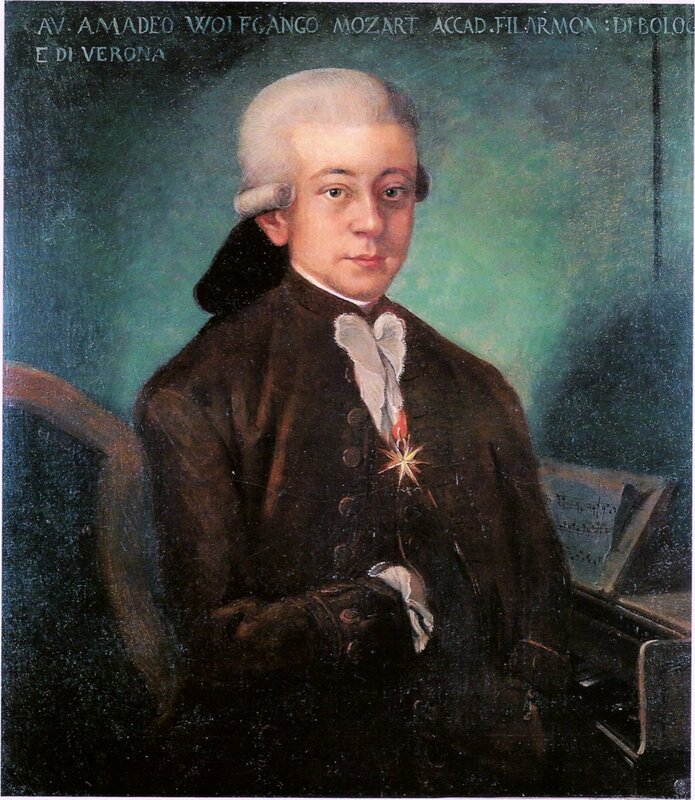 Mozart's early piano concertos had a high musical aesthetic, and today they are widely considered the pinnacle of his instrumental compositions. Beethoven's early piano concertos were able to rival Mozart's piano concertos, showing Beethoven's promise as a composer, but he just wasn't able to surpass their musicality and aesthetic yet. Shortly after he began writing his piano concertos Beethoven also began to compose his first symphonies. The symphony at this time was the most ambitious and highly respected form of instrumental composition, which is why Beethoven waited until he was 27 to hone his compositional skills before he began to write one. 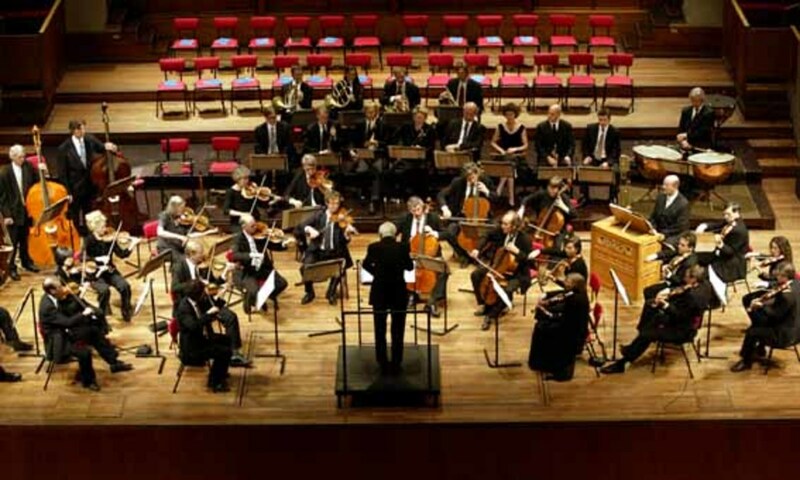 Beethoven's First Symphony draws heavily upon the later symphonies of his predecessors Haydn and Mozart. The introduction to the first movement of this symphony has a sense of humor to it that is reminiscent of the type of humor found in Haydn's music. In the opening bars of this symphony Beethoven confuses his listeners by creating a tonic dominant 7th chord which is a type of chord that suggests it needs a resolution. The chord that follows the dominant 7th is usually the tonic, but since the tonic is being used as a dominant 7th Beethoven is deliberately confusing his listeners as to what the tonic was. Also prevalent in the first symphony is Beethoven's use of wind instruments as carriers of melodies. During the first movement, in the 2nd theme the woodwinds alternate playing the theme with the strings in a call and response type of fashion. The first movement also features a number of short alternating solo passages for woodwinds. 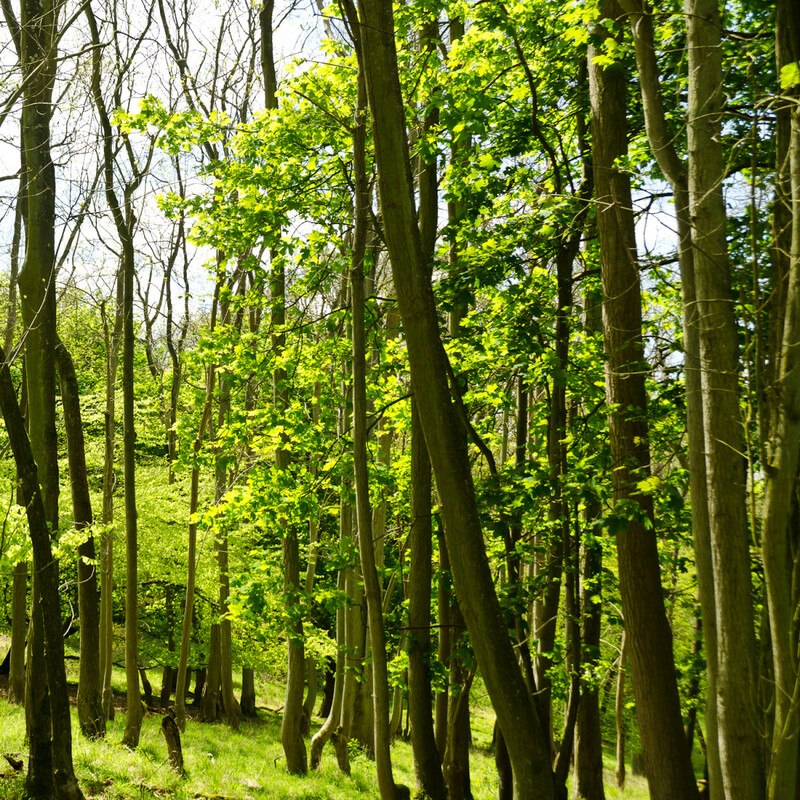 This type of writing for woodwinds was not typical during this period in symphonic writing. By the end of what is considered Beethoven's early period in 1802 Beethoven had established himself as the true successor to Haydn and Mozart in Vienna. His music was being published and performed around the city, and his reputation was reaching out towards the other countries of Europe. Beethoven's early period saw the most correlations and influences that came directly from the music of Haydn and Mozart. Beethoven's music during this time stayed true to Classical ideas of structure and symmetry, which were ideas that defined that era in music. However, Beethoven also begins to show that he is willing to sacrifice structure and symmetry in order to create a more emotional piece of music. Creating highly emotional music was something that defined the Romantic Era, and Beethoven would eventually become known for being the key transitional musical figure into that period. Beethoven's transition from being a Classical composer to a more Romantic composer began to change the sound of his music, and that is where we begin to see the first compositions that make up Beethoven's Middle Period. The other large factor that began to change Beethoven's compositional sound was his increasing deafness, something that would ultimately end Beethoven's dream of being a concert performer and thus forcing him to make a living exclusively off of composing music. Palestrina: The Savior of Western Music? Thanks for stopping by John, I'm glad you liked it. Beethoven is one of my favorite composers and he lived a very interesting life and wrote some very inspiring music, which is why I really like to write about his life and music. What a great article this is. I've written about Beethoven, but you really go down to "where the rubber meets the road" as they say. Great list of recommended pieces as well. Thanks suzettenaples for commenting. I really like Beethoven, too, its rare finding people that really enjoy Beethoven or Classical music in general, so glad to meet someone who is interested. I hope to write about the middle and late years soon, those will probably be a great deal more involved, a lot of masterpieces came out of those periods. What a comprehensive and informative article! I love Beethoven and played his music on the piano when I was young. This article is so extensive and give so much interesting information about his early years. I hope you continue this and write about the middle and latter years also. Thanks for a great article!